AMD’s big selling point of its Socket-AM3 processors is that they can still be used in Socket-AM2+ motherboards. In other words, you can use them in DDR3 or DDR2 motherboards. There’s a catch - the Phenom II X4 955 needs a BIOS update to work properly. And guess what? Not all motherboards have that BIOS support yet. It’s not a major change but the fact of the matter is that AMD and its board partners have not done the work necessary to enable support across the board at launch. 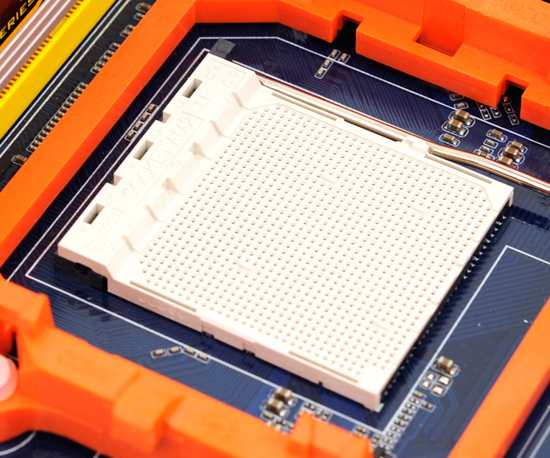 That means that if you have a Socket-AM2+ board, you may not be able to run the Phenom II X4 955 just yet. I ran into this problem with my AM2+ testbed. For the past couple of AMD reviews I’ve used MSI’s DKA790GX Platinum, a 790GX based motherboard. AMD actually sent me the board with my first Phenom II X4 940. Unfortunately it doesn’t have an updated BIOS, so the 955 only runs at 800MHz and won’t POST at 3.2GHz. Great. And more are coming. 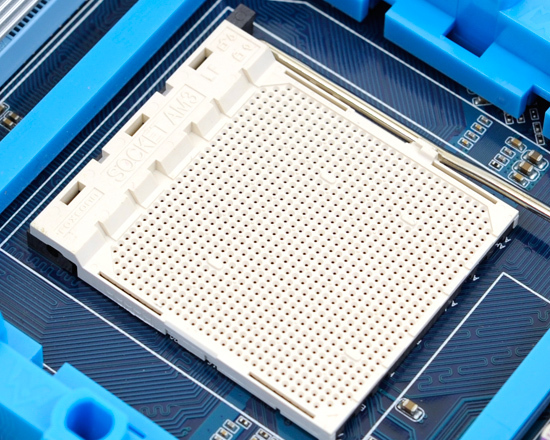 AMD suggests that you look at its Motherboard Compatibility page before you pull the trigger if you’re looking to put one of these chips into an older board. Even Socket-AM3 boards will need a BIOS update but those seem a bit more ready to go. Unfortunately because of all of this board switching, some of my 955 numbers aren’t exactly comparable to my older 940 numbers. I’m using different motherboards (Socket-AM3 vs. AM2+) and different memory (DDR3-1333 vs. DDR2-1066). The numbers are close enough, but there were a couple of situations where performance scaled more than it should have or went negative. Overall it’s not a huge deal but it’s frustrating for anyone looking to save money and upgrade to the 955 but using an older motherboard. Geez, some of you people make it sound like AMD has to have the fastest CPU in the market or they just aren't any good or something! Either AnandTech is Intel fan or Intel pays them hefty Loyalty. If not, then why every other reviewieng site shows AMD PHENOM 2 X4 955 BE defeating Core i7 940 on evey computing prospects. On some instances it has bashed on Core i7 965 extreme. This is pretty much biased and helping INTEL play their MONOPOLOY in this sector. In today's market, no two rivals can have their top of line product bearing differences of Day and Night like shown in this review. how x264?x264 benchmark 2.0 is very old . it is 819,but new x264 is 1139.intel is better for 1139 a lot.